At C.S. Flournoy we are proud to be the number one choice when it comes to Richmond tree trimming. We have worked hard over the past 30 plus years to make sure we treat every job with the same level of prompt professionalism. That means you get the best in quality workmanship and customer care no matter what type of job or size of job. 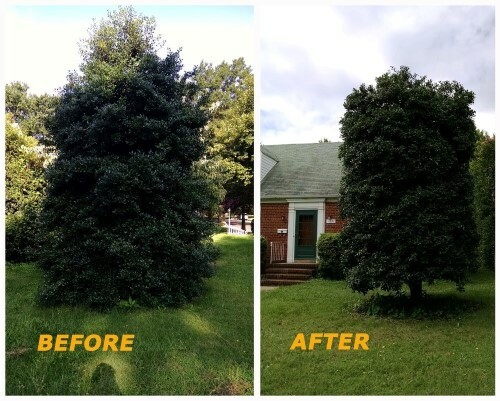 Richmond Tree Trimming is part of what helps ensure that your property always looks stunning and well maintained. Not to mention, this is essential to reducing the risk of damage that tree limbs can cause to things like your roof, your siding, nearby structures, fencing, cars and other things. Our team of experts has the training, skills and equipment needed to get the job done. In fact, our Richmond Tree Removal Company are experts when it comes to taking care of trimming and removal in tight or hard to reach spots. Many trees require trimming 3-5 years in order to avoid overgrowth. If you want to take the best care possible of your trees and your property in general, this is an important job to take care of. The best news is that you don't have to take care of it yourself. You now know which experts you can rely on to get the job done for you. Although the roots of our business started in stump grinding, we quickly saw the need to branch out. 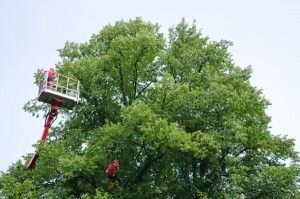 So many homeowners needed reliable pros to take care of related services, such as tree trimming. You also can feel good about trusting us with your tree related tasks because we have the necessary credentials, and then some. In addition to the required license and insurance, we also meet the guidelines for certified arborist and pesticide application specialists. Now, let us show you in person what we can do for you to improve the look and safety of your property. Too many homeowners assume this is the type of work they can take on themselves. Not only is this dangerous, it comes down to the simple fact the untrained eye may not realize when branches should be cut back. It is about much more than waiting until the limbs are pulling at your shingles or have fallen on the fencing. Proper Tree Pruning also helps the overall health of your trees, as well as the appearance. It is essential for making sure sunlight can get through to spots you may want it to in order to reach your solar panels or naturally heat your swimming pool. Cal C.S. Flournoy today to find out more about the Richmond tree trimming we can offer for you. If you are looking for Tree Trimming in Richmond then please call 804-264-1000 or complete our online request form.